Panel elastic construction. Converts from right to left by moving aluminum palmer stay. Converts from right to left by moving aluminum palmer stay. 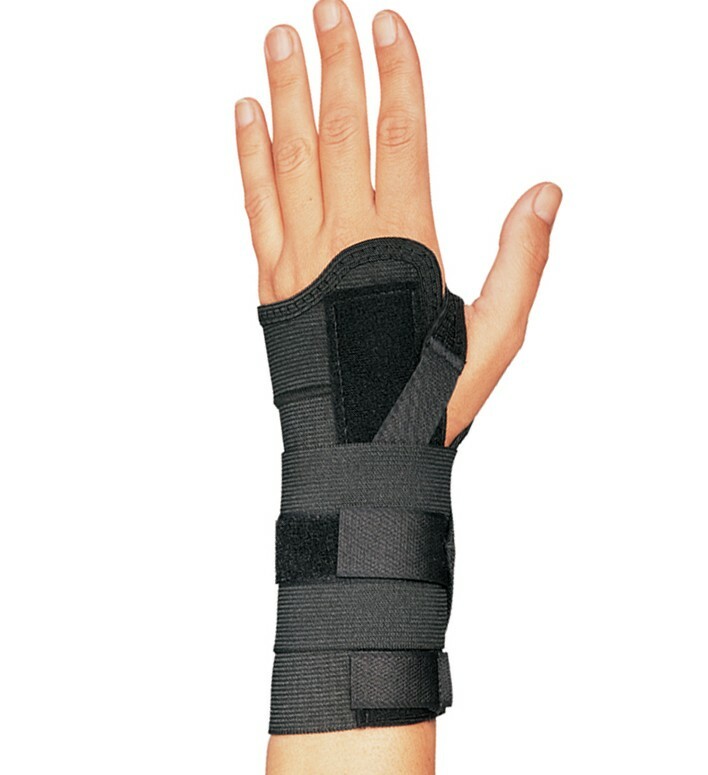 Circumferential wrist strap provides improved stabilization. Contact closure.